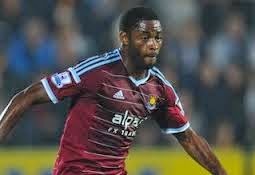 Song has made a brilliant start to his West Ham career and was excellent in his sides 2-1 win over the champions Manchester City on Saturday. Having left Arsenal for FC Barcelona in 2012, however endured two difficult seasons with the Spanish giants and he believes he won’t be returning to the Nou Camp. Song, who spent seven years at Arsenal before heading to Spain said “No, I think my future will be here. “”My family, everyone is happy here. I’m very happy to come back to England. West Ham have won their last three Premier League matches and currently sit fourth having made a good start to the season, ahead of their weekend trip to Stoke City. James Collins has featured in two of their recent victories and is confident they can go to the Britannia and keep their run going. “The confidence was obviously high beforehand, but obviously beating the champions at home – in front of our home fans – it breeds confidence throughout the whole club,” said Collins. “Not just with us, all the fans as well.